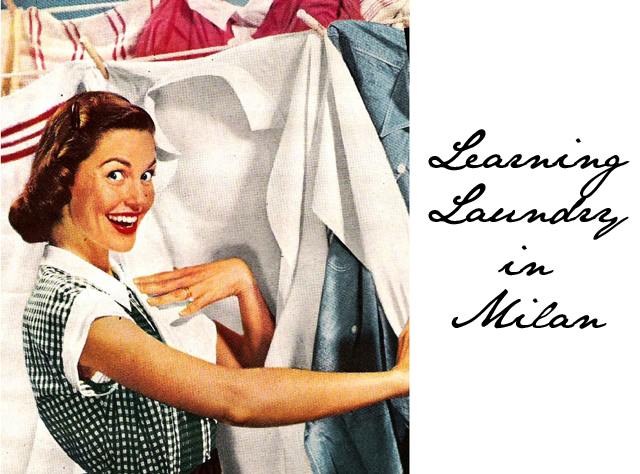 Last year I had the great privilege of attending a special weekend in Milan all about laundry. I know, this all sounds so very random. That’s exactly what I was thinking when I was invited. In fact, I actually thought to myself- “laundry is the bane of my existence so why would I want to spend an entire day talking about it?” I called my mom and mentioned the opportunity and she nearly laughed me off the phone. Me and laundry, there’s not a good history there. Over the years, I’ve more or less handed over the reins of my laundry duties to professionals as I have ruined so many garments. Whether I’ve mistakenly put a red sock in a white wash, managed to over wash black garments or shrink a Celine sweater to beyond wearable, the disasters could fill a shopping list. It ain’t pretty, people. So I said yes to going as I figured I could learn a thing or two. What I would encounter quite literally knocked my socks off. A weekend with P&G changed my entire perception of laundry and actually got me a little excited about the idea of going home and trying out a load. Ok, so let’s start with the fact that there are 900 different laundry load conditions. Don’t even ask. We went through a few, certainly not all 900, and we were shown how truly difficult it is to be in the business of laundry detergent these days. You basically need to have a product that can fight everything from red wine to mud. And the guys at P&G showed off their years of research in battling our stain dilemmas. They launched new Pods for Ariel in the UK and Tide Pods in the USA. These little guys may not look like much more than a beautiful piece of art- truly they are quite easy on the eye- but, in fact, they are little capsules filled with millions of little dirt fighting soldiers that are armed and ready to take on any situation you may throw at them. Not only that, they have a special talent for giving life back to garments that have been absolutely ruined by previous washes. The Pods are perfectly put together to give you the power of a full size detergent and then some and they are able to work their magic in water that’s cold. That in itself is a huge step forward for your clothes and the environment, people. The pods are actually put together in compartments so that each element is released at the appropriate time to work its magic during the cycle. The science behind this was lost on me. All I know is that it works. I could sit here and spill science for hours, but neither you nor I will understand what the heck I’m talking about. Now, let’s fast forward a bit in time. I was siting at this conference watching the miracle of the product. I saw clothes come back to life after horrible washes. I saw red wine removed completely from white gloves and I even experienced a full-on course on how the detergent is scented. For about 24 hours I got excited about laundry. I wanted to get home and throw a load in the wash, I kid you not. My mother was nearly in tears when I shared this information. So I returned home the next day and went to Tesco to pick up the Ariel Pods (and told my mom in the USA to pick up the Tide Pods). I did my first load of laundry and actually worked on my laptop by the washer. Looking back, I’m not quite sure why I did that. Maybe I was scared my washer would explode with all this magical power inside, who knows. When the ding on my washer sounded, I stepped forward, opened the door and was met by the most heavenly scent – clean laundry, actual clean laundry. I had put together a mixed wash and had put one Ariel Pod in with the dirty clothes. There was even a magic marker stain that came out without being specifically treated. I know I’m not here to sell you guys detergent, but I am around to council you on your clothes and it comes to mind that caring for your clothes properly is just as important as buying them in the first place. So next time you’re walking down an aisle and wondering what to buy for an investment in your closet, make it an Ariel or Tide Pod purchase. I am proud to say I’ve been doing my own laundry now since December and I’ve yet to have an “incident.” Bless you, P&G, for taking me along on a such a trip and dealing with me looking absolutely perplexed through most of it. Your dedication to my battle with dirt has resulted in my cleanest closet yet.